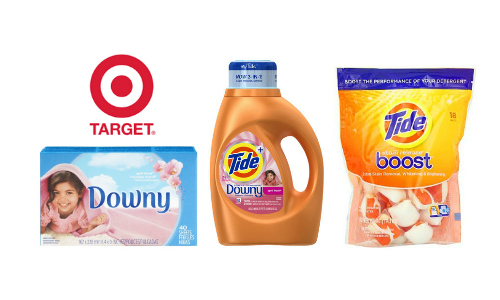 Stock up on household products at Target starting 3/23. There is a great gift card deal on Tide, Bounty, Charmin, and more. The deal is available 3/23-3/29. Be sure to print the coupons now, so you’ll have them next week.